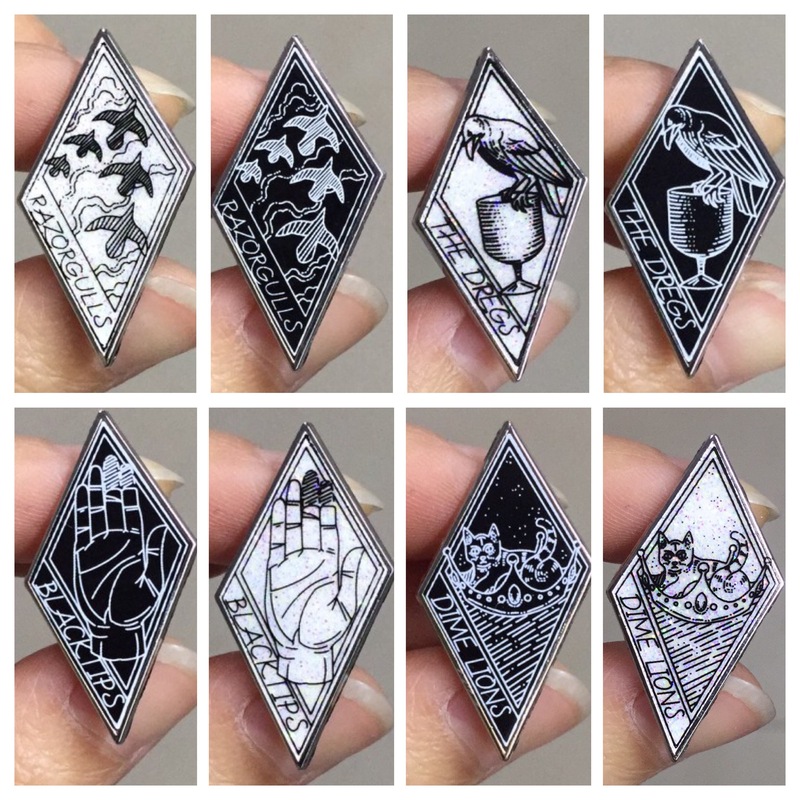 These pins are illustrated by @jmwulfe to look like the tattoos that the gangs wore in the book Six of Crows. They are slightly over an inch tall each, and very detailed. 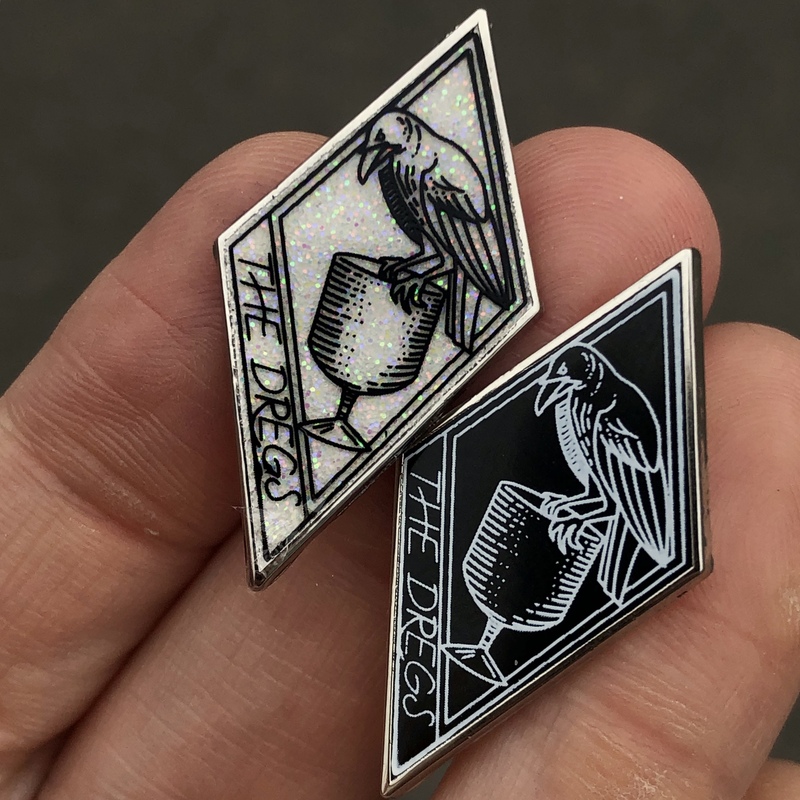 They're silver colored metal with black hard enamel and white screen printed ink, or White hard enamel with light amounts of glitter and black screen printed ink. These come as a 4 pin set. We also have the designs in sticker form. 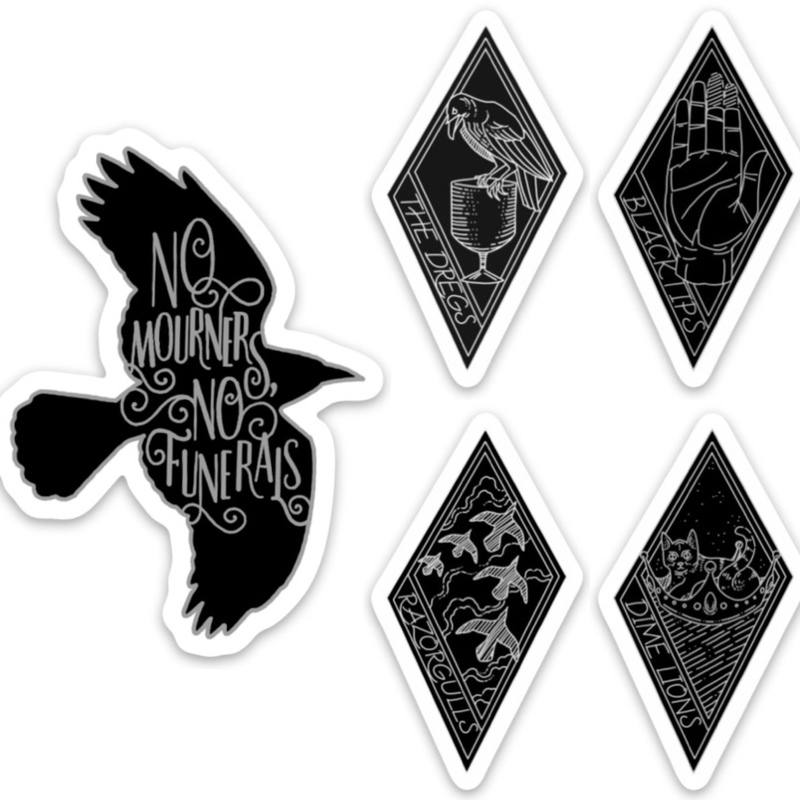 The stickers are all 2" tall with the Nom Mourners crow sticker in 3" tall.